I think it’s a testament to how delicious this pie is that I didn’t manage to get a picture of it before a slice was cut out. 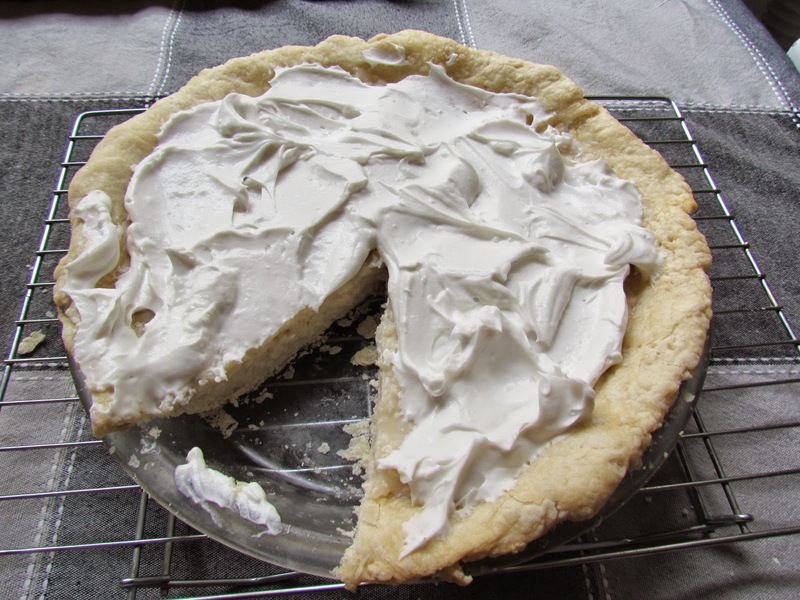 Cream pies have always fascinated me, creating a vegan version seemed well nigh impossible. 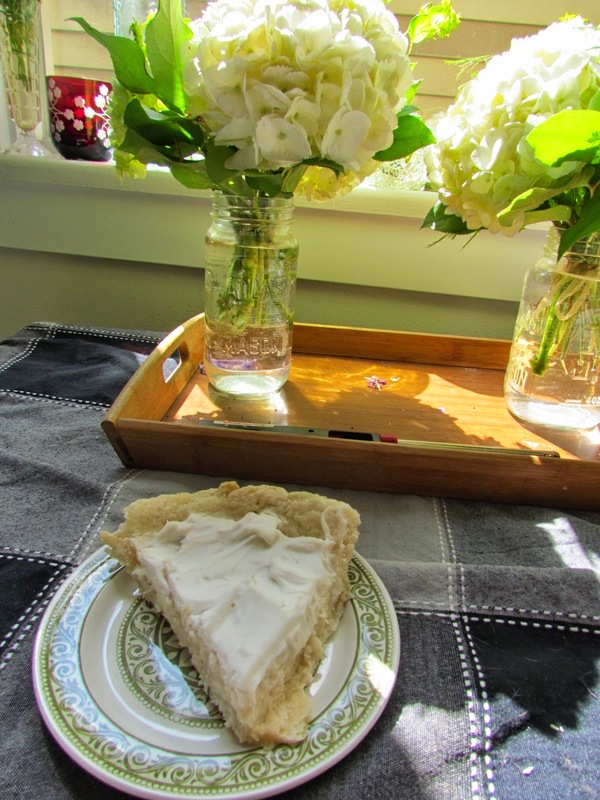 But enter the wonderful Chloe’s Vegan Desserts and lo and behold, she has a recipe for vegan coconut cream pie. It is a perfect summer dessert. It’s cold from being chilled in the fridge, it isn’t too dense or heavy and coconut is made for summer. 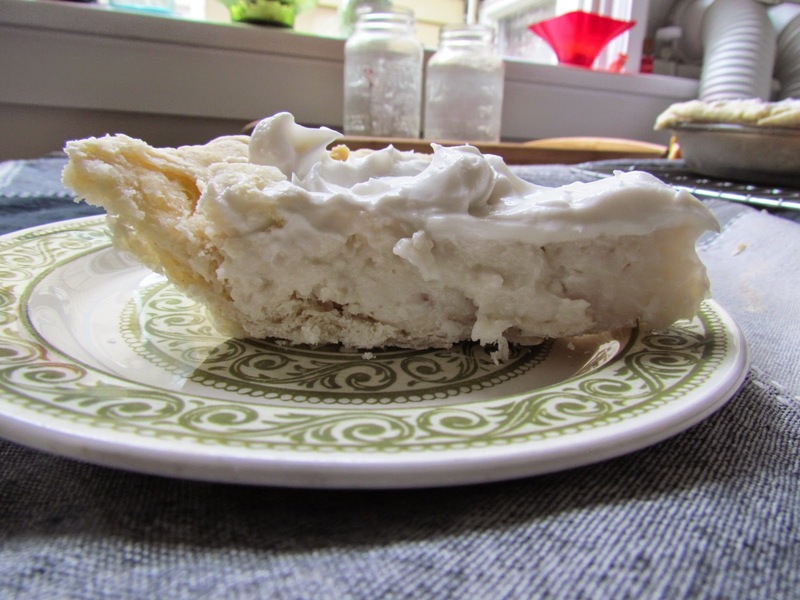 A light fluffy crust that melts in your mouth, a topping of coconut whipped cream and it is dreamy summer perfection. Coconut whipped cream is probably one of my absolute favourite discoveries of the last year. I love whipped cream. Of course I could only ever have the chemical filled synthetic stuff with no real dairy. While delicious, not exactly something you should be eating by the spoonful. Coconut whipped cream however? Two simple ingredients. Coconut cream and powdered sugar. All you have to do to make the whipped cream is leave a can of full fat coconut milk in the fridge overnight. In the morning the top half of the can should have solidified. You spoon the solid carefully into a bowl (make sure not to get any liquid in the bowl as it can destroy the texture of your whipped cream). You add a bit of powdered sugar and whip it together with a hand held mixer. That’s it! So simple and so delicious. 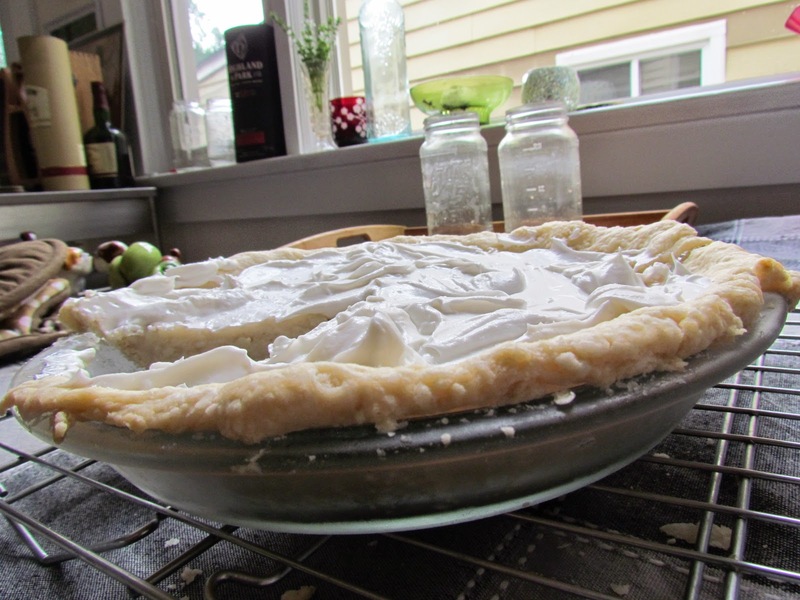 So whip yourself up a pie and enjoy it out on the patio in the last fading rays of summer’s sun!